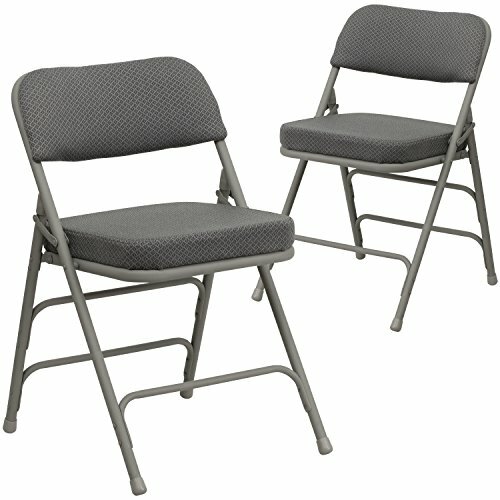 Folding chairs are a practical choice for social activities and for everyday use in the home. Folding chairs offer a simple and compact storage solution. This portable chair can be used in a variety of indoor or outdoor events. This HERCULES Folding Chair was built to take on heavy usage with an 18 gauge steel frame, triple braces and leg strengthening support bars. The non-marring floor glides keep floors scratch-free for your indoor occasions. This chair was designed to keep you comfortable with an extra thick padded seat and back. After an event you can place them on top of each other or in a row. To make transporting even easier, equip yourself with the appropriate sized folding chair dolly to make event management more effortless.